Hi we’re Chris and Danika. 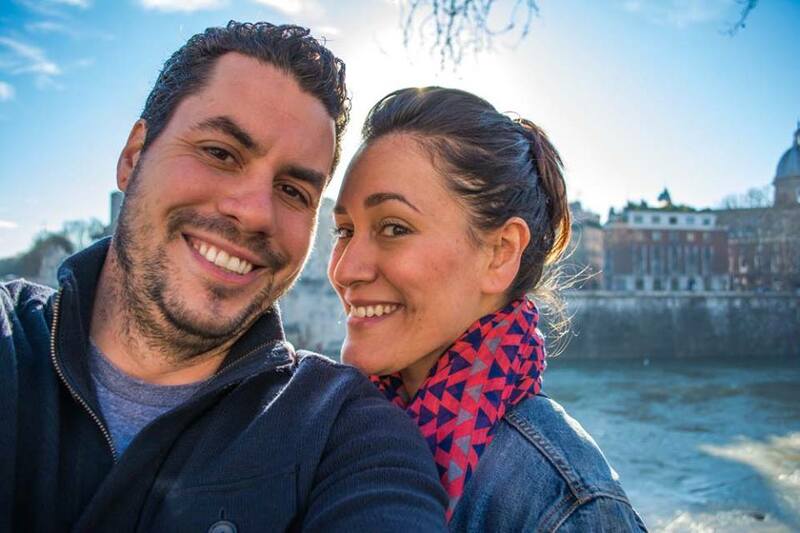 In March 2014 we quit our jobs, sold everything, and rented out our house in San Francisco - all to travel the world. When we set off of this trip 4 years ago, we never would have imagined that this type of lifestyle would really be possible. But yet, somehow we manage to make it work! Please feel free to leave us recommendations or say hi...we love good food, good cocktails and even better views... Cheers! Watch the video Business Insider did about us! We prefer luxury and style and love to explore beautiful beaches and cities. We appreciate a fine dining 12 course meal, just as much as a meal served sitting on small stools on the streets of Hanoi. A dive bar is just as awesome as a great cocktail lounge...but bonus points if we find an awesome Tiki Bar (Li Po in San Francisco is till our favorite, they make the most amazing Mai Tai). We haven't found a guide book worth reading and tend to wander around until we find something we like. Our goal is to discover and share the most amazing places we find, from restaurants to hotels all while having fun in this big world. Speaks Spanish and is learning Italian. Sometimes get’s languages mixed up and is known for speaking Spanish while trying to speak Italian and Italian while trying to speak French. My packing style is chaotic, stuffed, somewhat unrealistic. Favorite cocktail is anything with Mezcal or anything with citrus & basil and is a sucker for homemade bitters. Out of our 16 boxes in our storage, at least half are dedicated to my 150+ pairs of shoes and handbags. If I wasn’t traveling around the world I would be an editor for a a lifestyle magazine (online or print) or creating a sprinkle & cake decorating company. Before being a digital nomad I was Director of Marketing for a group of really chic boutique hotels in San Francisco. Prefers mens watches to womens and has an unrealistic affinity towards A.Lange & Sohne, Breguet and Jaeger Le Coultre. I help hotels and lifestyle brands with their branding and marketing. From helping make websites, to acting as a stylist on a photo shoot, I help brands discover their message and convey it clearly and creatively. Im happiest while Im cooking, music playing in the background, Karloff at my feet and Chris sneaking bites of food…oh and laying on beaches. I pretend to know the words to all Motown songs, yet ironically know every word to "Nuthin but a 'G' Thang," by Snopp Dogg & even sang it with him once in Vegas. Speaks English with sarcastic undertones. Understands Spanish and Italian and gets annoyed when Danika says Gracias instead of Merci when in France. My packing style is simple and organized - basically the complete opposite of Danika. 1 pair of shoes is enough. Well versed in the language of beer and love a good IPA . Favorite cocktail is a Penicillin or Old Fashion. I don't like bars that have really showy drinks...you know where they light things on fire and stuff like that. Unless it's a tiki bar, and then all bets are off. I avoid crowds like the plague and will go hours out of my way, to not deal with them. Out of our 16 boxes in storage, 1 is mine and the rest are Danika's. For a living I build websites and web apps. I've been doing it for almost 18 years. I was most excited to see Prague, I liked Bali a lot more than I thought I would and I can't wait to see Thailand. Im happiest every where, as long as a cold beer is nearby. If you ask Danika, she'll tell you I'm happiest walking around parks and seeing really cool landscapes, with a beer in hand of course. I am thoroughly impressed by the amount of thought and consideration that has gone into the toilet industry in Japan...they have the most amazing bathroom experience of anywhere. I do a fantastic acappella rendition of Ice Ice Baby by Vanilla Ice and often break into spontaneous Michael Jackson dance moves. Our photographs have been featured in some awesome publications!